"We have a blood alliance, but just as importantly, we have a life alliance. We need to make sure that we build this partnership and this alliance together, as it should be." Meanwhile, controversial MK Bezalel Smotrich ousted Agriculture Minister Uri Ariel as leader of the far-right-wing Ichud Leumi party and is expected to lead Habayit Hayehudi faction after Bennett and Shaked left. Ariel will resign from politics. And the Likud party court is holding a hearing over whether the "New Likudniks" can be ousted from the party, Maariv and JPost reported. The ‘New Likudniks’ are running candidates in the Likud primary as the party weighs expelling them for being ‘leftist.' A total of 15 New Likudniks activists were summoned to the hearing by Likud Director-General Zuri Siso, who argued that they are leftists. The True Objective of Jewish Terror (Amira Hass, Haaretz+) It's not the murder of Palestinians. It is to grab whatever Palestinian space is left, and the Israeli army allows it, because it's afraid. 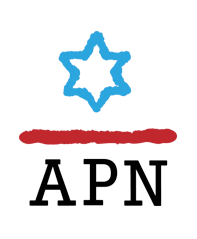 Are Hordes of Radical anti-Zionist Professors Intimidating Jewish Students on Campus? (Ivan Kalmar, Haaretz+) A recent Hillel fundraising email claimed Jewish students in Canada felt 'ashamed, angry and exposed' by academics filling their classrooms with radical leftist propaganda. That's a trope taken straight from the fear-mongering populist Right. Universities under siege: The battle for a free and progressive education is in full swing (Dr. Revital Amiran, Maariv) The anti-liberal tendencies that the right-wing is trying to impose on higher education, to the extent that it has turned into a tool by the supporters of the occupation, the halakha and the privatization regime are dangerous to academic freedom. When you're staying with West Bank settlers, here's how to break the ice (Arnon Grunberg, Haaretz+) First up, assure your hosts you aren't spying for an anti-occupation human rights group. Second tip: Don't take off your coat. Part one of a three part report. By breaking its ambiguity on Syria, Israel backed its enemies into a corner (Alex Fishman, Yedioth/Ynet) When Netanyahu and Eisenkot decided to end Israel's plausible deniability regarding its airstrikes in Syria, they damaged the country's deterrence, and there is no knowing how all of this will blow up in our faces. Gantz told the Druze what any other candidate would say - and rightly so (Meir Uziel, Maariv) Even those who wholeheartedly believe in the necessity of the Jewish Nation-State law have promised in one language or another that a correction is required, which expresses the partnership with the community. However, these were just sounds, not real speech. 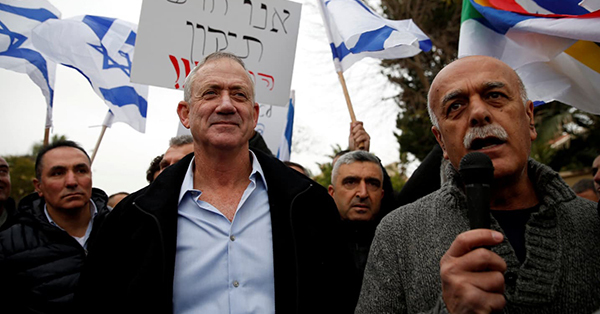 The mask is off: Gantz is a leftist (Mati Tuchfeld, Israel Hayom) By the time the Left realizes the Israel Resilience Party and its leader Benny Gantz are positioned to be the final nail in its coffin, it may be too late. Eisenkot Withstood the Heat (Haaretz Editorial) The outgoing army chief's term included missteps, But in his major test – his conduct as a public servant who could stand up to politicians who often exerted pressure that was not to the point – Eisenkot came through with honor. Kochavi is the right man to deal with the IDF's challenges successfully (MK Eyal Ben Reuven, Maariv) The incoming chief of staff comes to the post with a huge load of experience, knowledge and familiarity with the large systems he will have to lead in a rapidly changing regional reality. U.S. Jews Are to Blame for Crisis With Israel (Nave Dromi, Haaretz+) The painful truth is that the rupture between Israel and progressive American Jewry is worsening because the thing they may want to change most of all, without succeeding, is us. Is an increasingly unhinged Trump good or bad for Netanyahu? (Chemi Shalev, Haaretz+) The prime minister basks in the president’s pro-Israeli gestures but could gain from Trump’s total unraveling as well. The Palestinian struggle is shifting to a civil rights movement, and Gaza is leading the way (Rami Younis, +972mag) The Great Return March signals a shift for the Palestinian people, says scholar Tareq Baconi. Palestinians are no longer fighting for a state, and are increasingly demanding their full rights — primarily the right of return. A very long first term (Elliott Abrams, Israel Hayom) PA President Mahmoud Abbas was elected in a free election 15 years ago. It was the last parliamentary election held to date in the Palestinian Authority. Trump's Syria Pullout Hurts Bolton and Pompeo's Diplomatic Credibility (Amir Tibon, Haaretz+) The president's policy-by-tweet handling of Syria undercuts the credibility of his senior staffers, who spent months prior to his announcement advocating against the move, and are now scrambling to pacify Mideast allies. A tale of two speeches (Dr. Reuven Berko, Israel Hayom) U.S. Secretary of State Mike Pompeo's speech in Cairo last week may not have been as flashy as Obama's in 2009, but it did indicate a return to a sober and healthy perception of reality. How the Far Right Accused a Chocolate Bar of 'Islamizing' Europe (Farid Hafez, Haaretz+) 'Don’t buy from Muslims!' Toblerone's halal certification triggered a far right campaign to boycott Muslim-owned businesses - part of a wider strategy to suffocate Muslim life in Europe. Hamas signals to Israel that if the Qatari money does not arrive, stability on the border will be undermined (Yoni Ben Menachem, Maariv) In renewing the violent demonstrations, the Palestinian organization signals to Israel that the situation in Gaza is very fragile. So far, the organization has gained few achievements and has not been able to deliver on its promise to the Palestinian public. Runaway Saudi teen scores victory against kingdom's tyrannical hierarchy (Zvi Bar'el, Haaretz+) Saudi women are quietly rebelling against the kingdom on Facebook and Twitter. But even on social media, there are people who monitor, threaten, smear or arrest them. The Left's Russian delusions (Tal Gilad, Israel Hayom) The Left, which hasn't forgiven Russia for turning its back on communism, now views Moscow as the ultimate demon. Why has the media played along rather than act as the responsible adult? Yemen Came in Last of 146 Countries on Women's Rights. So the UN Gave It a Prize (Zvi Bar'el, Haaretz+) Yemen is outstanding at trampling on women’s rights. It’s hard to find even a grain of sense in the UN’s decision to give this country the vice presidency of the executive board of UN Women for 2019. On the Arab Spring's 9th Anniversary, Is the Mideast Poised for Breakthrough? (David Rosenberg, Haaretz+) There’s no shortage of optimism, but the region seems to be sinking deeper into malaise.